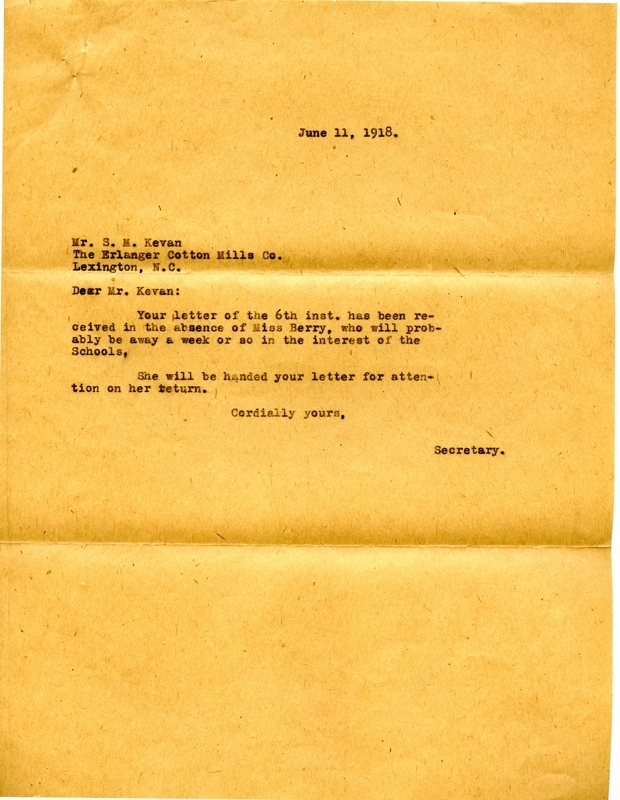 Martha Berry's secretary alerts Kevan that Berry is away from the school on official business and will respond to his letter when she returns. Inez Henry, “Letter from Inez Henry to S.M. Kevan.” Martha Berry Digital Archive. Eds. Schlitz, Stephanie A., Angela McCavera, et al. Mount Berry: Berry College, 2011. accessed April 26, 2019, https://mbda.berry.edu/items/show/43.